This blog – and the mini wargaming community as a whole – talks about “balance” a lot. Is the tournament scene balanced? Is the new Killslayer Deathskull Codex balanced? Is the ITC mission pack balanced? You get the idea. But we often fail to define our terms, assuming that we all agree to what “balance” is. I’d suggest we don’t. I’m reminded of a Twitter exchange between myself and Paul Murphy, where I asserted that “8th Edition is more balanced” is one of the great misconceptions of our time, and he responded by saying there are so many units that are more playable now than they were in the past. It’s possible that we were both right because we were talking about different things – when we said “Balance”, we were talking about different aspects of the game. Indeed, I’d assert there several forms of balance. To steal from the Iron Warriors: Balance Within, and Balance Without. And the latter splits up into two additional forms – Single Game Balance and Series-of-Games Balance, giving us a total of three different forms of balance. This is what I’d call “Within Codex” balance, or what Paul Murphy was talking about. Considering a single book, all on its own, there are myriad valid choices of what to take. 250 points of unit A can be expected to do largely the same as 250 points of unit B (though they may have different roles), and there are few newbie traps, bad choices, or manifestly superior options. An army with good “Within Codex” balance has a lot of different builds that are potentially solid performers – not necessarily tournament winners, but solid showings. And here’s where I’m going to make a controversial statement: I think, by this metric, the last few Eldar codexes have been well-balanced (albeit not perfectly so). I’m actually fairly serious here. The 7th and 8th Edition Eldar codexes have lots of interesting unit choices. Admittedly there were some that were standout units, but you could have a fair diversity of Eldar armies that ended up performing fairly well. There are very few units that just manifestly won’t do what they’re supposed to, and which you’ll expect to never see on the table. In contrast, lets consider the Space Wolves. In 7th Edition, there were very few builds, almost all of them centered around units on Thunderwolves. And a great many units you’d never see on the table, even in friendly games, unless someone was playing them out of stubbornness, an affectation, or because they were a required unit tax in one of the late-7th formations. In some ways I think that this form of balance is the most important one for the faction-specific fans of the game, and the dyed-in-the-wool narrative player who wants to make an army whose theme extends beyond “Winning is a theme…”. This type of balance allows them to take what appeals to them – visually, narratively, etc., put it on the tabletop, and have a reasonable chance of seeing the army perform the way they imagine it would. It doesn’t force a choice between playing well and playing to theme, or having to decide whether or not the “good units” in the codex are worth compromising your vision for. But what it doesn’t do is promise that this army will be enjoyable to play against. And there’s where we hit balance without: between codex balance. External to a codex, there’s the question of “Between Codex” balance. This is what I think most people mean when they say “balance” – that the factions of the game are at roughly equal levels and there is no clearly dominant faction. Expressed in somewhat more mathematical terms, that each faction has an equal probability of winning. But even here, I think there are nuances that need to be explored – namely whether balance exists within a single game, or over a series of games. The notion of single game balance is that, with two equally skilled players, the probability of each of them winning the game is 0.50, and importantly, it is 0.50 for all matchups. Eldar vs. Chaos Daemons? 0.50. Eldar vs. Orks? 0.50. Orks vs. Genestealer Cult? 0.50. You could express this as one of the most boring matrixes/tables ever made – each faction as both a row and column, and then just a vast field of…0.50. This is, when people are advocating for a return to the notion of the “all comers” list, what they are thinking about. That two armies, built to fight an unknown opponent, should be able to duke it out on fairly even footing. Note that this does not imply internal balance – it may be that each faction only has a single build really capable of doing this. But this also isn’t the only way to think of between game balance. 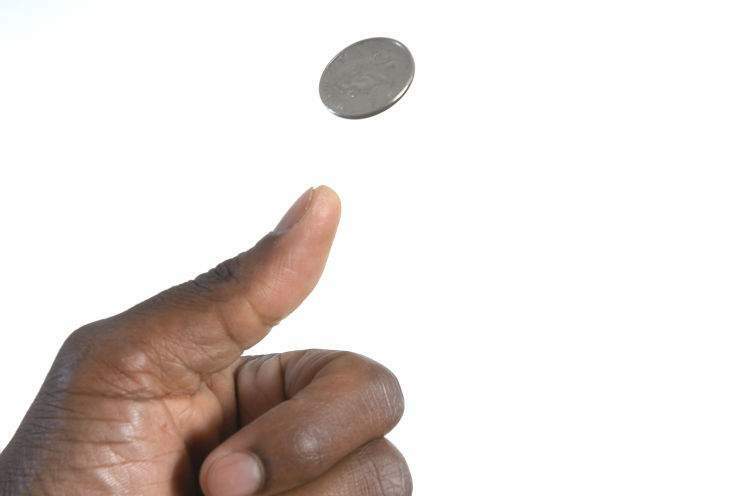 If Single Game Balance is a coin toss, Series-of-Games Balance is Rock-Paper-Scissors. Here, the probability of each “faction” winning isn’t equal in a single game (indeed, for RPS the probability of one choice winning is 1, and the other 0). But the sum of the probabilities of winning over a series of games is equal if the game is balanced. This is what people are thinking about when they talk about the meta, hard counters, etc. In this sort of balance there is no such thing as a take-all-comers army – there are some comers who will simply beat you, and equally some opponents who never really stood a chance. This is also what I tend to be talking about when I write about tournament results and “balance” – I’m looking at the tournament as a whole, not pairwise comparisons between armies (though in principle, with enough time and data, I could do that). Another note here is that all single game balanced games are inherently balanced over a series as well, but the opposite is not true. And, as with single game balance, this implies nothing about internal balance – a faction could again have potentially only one, or potentially many builds which may have paths to victory over many games. So Is 8th Edition Balanced? I’d suggest that, especially for the armies with their Codexes, Within Codex balance is much improved. There are lots of playable combinations in most of the books, and far fewer dead end units that can be assumed will simply gather dust on the shelves. It’s not perfect by any means, but it’s decent. There are, invariably, some rockstar units and some duds, but overall I rarely have the feeling of “You brought what! ?”, especially in friendly games. For Between Codex I’d suggest that 8th Edition is far from balanced, and potentially as unbalanced (if not moreso) than 7th Edition. Whether the relatively rapid cycle of errata that GW has committed to will fix this, or simply make the unbalanced probabilities of winning less stable and harder to predict remains to be seen. I thought this was an interesting take. Balance is neither necessary nor sufficient for an enjoyable game. Going up to a table, rolling a D6, and the high roller wins is a perfectly balanced game. But is it fun? A well-crafted scenario where one side is ultimately doomed, but is selling their lives dearly for an objective may very well be the best game of 40K you ever play. 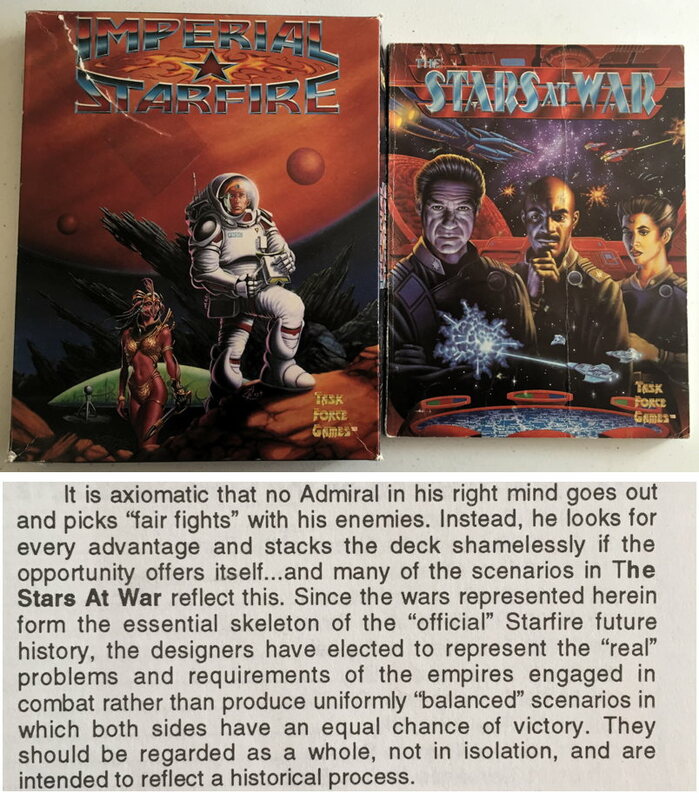 Games Workshop is even trying to codify the latter with the “Sudden Death” objectives in the Open War deck. It’s only really when you get to tournament settings, where the idea is to rank player skill, where balance is an inherently essential component of the game. And even then, we have to be clear on what we mean by “balance”. I absolutely agree with you that the Eldar Dexes have had fantastic internal balance over the last couple of Editions. Unfortunately, its balance vs. other Dexes was kind of terrible. Another thing the Starfire quote brings to mind is a point from a couple of posts I remember from a now-deleted blog. The central theme was that a truly balanced wargame is a contradiction in terms. No commander in their right mind would get into a fair fight, so if you do have a system that always provides fair fights, it’s no longer any kind of simulation of war. I haven’t done Stat in too long to remember how to define it, but I think I’d try to set a standard for external balance based on some sort of results spread, with no particular army winning or losing more than like 10% more often than any other. Maybe broader. I don’t actually have the numbers to see what 40K is like in that regard, or where it currently stands. Thanks for the insight, a great way of looking at this issue, within and without. 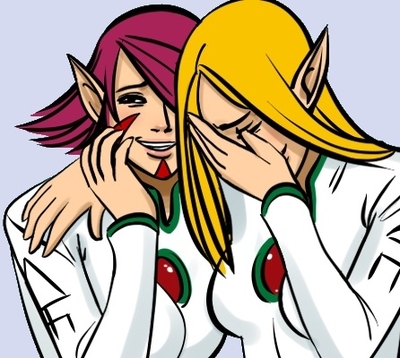 That Starfire paragraph is gold. The line about tournaments and player skill is a funny one, how skill-based can this game really be with so many dice rolls affecting the outcome of a game? Sure you can build an effective list and play to the maths – but it cannot really ever be a skills-based tournament? Do you find that when reviewing the outcomes of tournaments? That the lists matter more than the players themselves? Or maybe you do not delve that deeply/get that granular to notice those details. We see the same players showing up in the top standings often enough to be able to say that skill is certainly a factor, even if not a defining factor to the extent of Chess or Go. And honestly, part of that skill is being able to minimize the randomness, or at least the impact of the randomness. Figuring out exactly where 40K stands on the continuum of pure randomness to pure skill would require more data than I’m pretty sure anyone has, but it sure ain’t Baccarat or something. I talked about this a little bit on The Best General – I think player skill (including things like list design) are what can get you into contention, get you to the “Top Tables”, but it’s likely random effects (including opponent draws) that determine who among that group wins. Indeed. But no amount of skill will save you from blowing a 2+ save. Minimize the chances to take it? Sure. But even the best of us need to roll dice at one point in the game. A fine article. I think the obsession that players have with driving the game to be totally balanced is actually detrimental. How would I ever improve the build of an army or try out new tactics if all it needed was to take X amounts of stuff to fill the points? One of the most interesting bits of the hobby is rising to the challenge… Suffering a loss and working out how to beat it; not decrying the whole experience due to a lack of perceived balance. I was very excited for 8th, and my first few games were amazing. The shininess wore off pretty quickly though and it became apparent that 8th was not the godsend I had hoped it was. I still like 40K, and 8th in general, but the lack of external balance you talked about is really bothering me. I’m really hoping GW steps up to deal with it. Looking at Starcraft 2, which must be balanced right? There are 15 or so units per side. Of those 15 or so a couple are point defence structures or harvesters which are not really units. And not many units, if any, have aura effects. 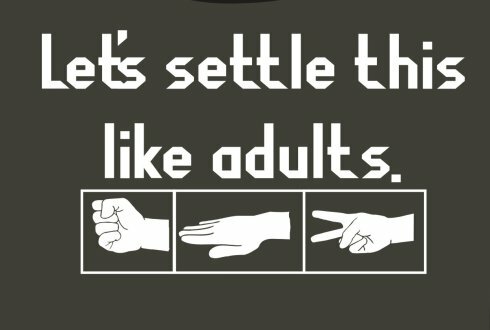 Put this against rock, paper, scissors which has only three units and in a single game that’s very fair. It’s also very simple. How can Games Workshop ever hope to make anything balanced with so many moving parts; factions, auras, stratagems, doctrines, etc? It seems impossible for them to do as long as the consumer is wanting more minis and that factions are accurate to their lore and therefore are extremely diverse. I agree that it’s a nearly impossible task to balance the game, no arguments there. However, I also feel that they could be doing more. Sometimes you just see things and wonder what the hell GW was thinking. That’s the sort of stuff they could trim, or at least address in an FAQ/errata/chapter approved. Now, that being said, I think it’s all a matter of perspective. I love Blood Bowl. It’s my favorite game, and it’s not a game of perfect outside balance. Internal balance is great, but there’s absolutely no disguising that some teams are inherently bad, and made that way to give skilled players a challenge. The difference between Blood Bowl and 40K is that the players of Blood Bowl know that not all teams are equal and that it’s intentional, thus it’s accepted. However, 40K doesn’t have that same disclaimer. So, 40K players expect that external balance to be in place, especially when there’s huge ITC events for it, and GW is even backing those events now. It creates an expectation that’s not being delivered. Does it need to be balanced? Absolutely not. Hell, I’ve written an article on my blog on the subject, discussing how my most memorable, and fun, gaming moments were created because of imbalance. However, if you’re going to give the impression of balance, be it intentionally or through negligence, then efforts should be made. I think the best thing about 8th isn’t “balance”. It’s frequency of updates. Because GW is returning to the table twice a year, instead of just leaving things stagnant. It means they will do things like the “beta smite rules” and the changes (good or bad) to things that get spammed a lot, like conscripts and brimstone horrors. Sometimes, they overtune. Other times, it’s not enough. But maintaining a schedule for rule updates means things change. GW is actually paying attention to what wins major tournaments now. You can’t just pull a winning list off the internet, build it, and start winning, because even if one does emerge, GW will whack it within six months through FAQs or Chapter Approved. And if your army isn’t doing what it should, GW might also boost it the same way. One of the complaints i’ve seen about 8th, is how you can’t win games during list building anymore, and honestly that was the worst thing about 7th, spending three hours playing a game you never had a chance in because your army cannot actually harm a “death star” character. I don’t think 8th is balanced, or will ever attain true balance between codexes. But I think it will always be a lot more fun than 7th was.